Since Vietnam introduced economic reforms in the mid-1980s, domestic service has become an established sector of the labour market, and domestic workers have become indispensable to urban life in the rapidly changing country. 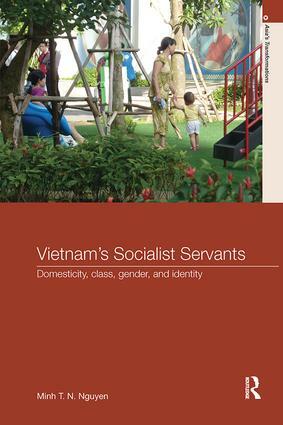 This book analyzes the ways in which the practices and discourses of domestic service serve to forge and contest emerging class identities in post-reform Vietnam. Drawing on a rich and diverse range of qualitative data, including ethnographies, interviews, and narratives, it shows that such practices and discourses are rooted in cultural notions of gender and rural-urban difference and enduring socialist structures of feeling, which, in turn, clash with the realities of growing differentiation. Domestic workers’ experiences reveal negotiations with class boundaries actively set by the urban middle class, who seek distinction through emerging notions and practices of domesticity. These boundaries are nevertheless riddled with gender and class anxiety on the side of the latter, partly because of the very struggles and contestations of the domestic workers. More broadly, Minh T. N. Nguyen links the often invisible intimate dynamics of class formation in the domestic sphere with wider political economic processes in a post-socialist country embarking on marketization while retaining the political control of a party-state. As a pioneering ethnographic study of domestic service in Vietnam today, this book will be of great interest to students and scholars of Southeast Asian culture & society, social anthropology, gender studies, human geography and development studies.